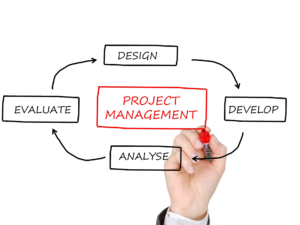 Strive Health offers custom Project Management solutions, adhering to PMBOK® standards. We provide a range of services to meet your needs, from strategic guidance and project planning, to leading the development, implementation, evaluation and knowledge translation of a complex initiative. IMPACT-AF, Integrated Management Program Advancing Community Treatment of Atrial Fibrillation: a multi-year, multi-million dollar research study testing the impact of a clinical decision support system with more than 200 primary care providers and 1,200 patients from across Nova Scotia. Strive has been providing project planning and management support to leading researchers at Capital Health and Dalhousie University since 2013. Health Care in Canada Survey: a unique national survey that has simultaneously and repeatedly sampled and reported on the public and professional perceptions around the outstanding issues and opportunities in Canadian health. Strive Health, in collaboration with CareNet, have provided project management and leadership support to the national organizational members on behalf of Merck Canada since 2011. ICONS, Improving Cardiovascular Outcomes in Nova Scotia: one of the largest and most successful population health demonstration projects in Canada. In 2002, ICONS transitioned to an operational program (Cardiovascular Health Nova Scotia) of the Nova Scotia Department of Health and Wellness.